Obata Yuji was born in 1961 in Arita, Saga prefecture, Japan. 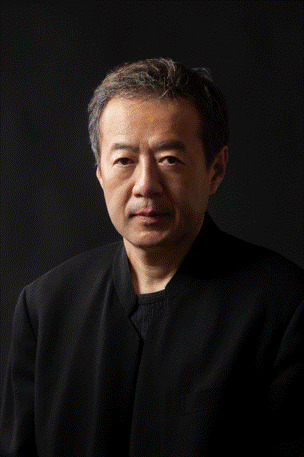 He graduated from Aoyama Gakuin University in 1984, and Saga Prefectural Arita College of Ceramics in 1987. He is a regular member of Japan Crafts Committee and a Member of Arita Ceramic Association. Obata has won prizes at Japan Traditional Arts and Crafts Exhibition, Japan Ceramic Art Exhibition, and Issuikai Exhibition. He exhibited at The Japantique in Tokyo from 2016 to 2018. He also held his first overseas exhibition in New York in February 2017, followed by the second exhibition in New York in November 2018. Cherry blossoms are his main motif that Obata draws upon his decorative work. Each petal of his blossoms is drawn with the finest touch. On his pots, the blossoms bloom in full glory, delicate and magical. Not only is the design unique, but his colors are distinctive as well, particularly the pink he creates out of a material called Shoenshi”, or, “Obata Pink” This color is lively and beautiful, and is a color that hardly any other artists can successfully master when working at such a refined level of porcelain ware. Obata’s work balances bold and graceful beauty, intense color and pure white, and is not to be forgotten. Arita-yaki porcelain has over 400 years of history and tradition yet expresses a fresh originality that signals a future for the ancient art. Obata’s self-taught along each steps of his creative process, from turning the potter’s wheel and kiln firing to decorating the surfaces of his pieces with delicate drawings. Obata departs from common practice in the Arita-yaki industry to carve out a special place for himself in this traditional porcelain art.